In a narrative that possesses both remarkable political importance and extraordinary literary power, David Horowitz tells the story of his startling political odyssey from Sixties radical to Nineties conservative. A political document of our times. Radical Son traces three generations of one American family’s infatuation with the radical left from the Bolshevik Revolution of 1917 to the collapse of the Marxist empire six decades later. 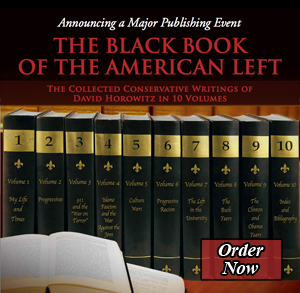 David Horowitz was one of the founders of the New Left and an editor of Ramparts, the magazine that set the intellectual and revolutionary tone for the movement. From his vantage point at the center of the action, he populates Radical Son with vivid portraits of people who made the radical decade, while unmaking America at the same time. We are introduced to an aged Bertrand Russell, the world- famous philosopher and godson of John Stuart Mill, who in his nineties became America’s scourge, organizing a War Crimes Tribunal over the war in Vietnam. There is Tom Hayden, the radical Everyman who promoted guerrilla warfare in America’s cities in the Sixties, married film legend Jane Fonda, and became a Democratic state senator when his revolutions failed. We meet Huey Newton, a street hustler and murderer who founded a black militia that became the Sixties’ most resonant symbol of black power and black militance. Horowitz’s memoir —often painful, occasionally maddening, always riveting—is a spiritual autobiography about the costs and consequences of bad commitments. The implications of his political choices haunt Horowitz on every page, from the breakup of his two marriages to his estrangement from his Communist father; from shattered friendships with former comrades to reconciliation with his grown children. This painful and difficult journey from Left to Right has made Horowitz the most hated ex-radical of his generation. In telling his story he provides not just an intimate personal account of his own transformation, but a scathing moral history of the American left, and a guide to the evolving political conscience of a whole generation.